Governments, corporations, the financial system and civil society are all key stakeholders of how climate change and sustainability challenges play out. In addition, they are key solution enablers by the way they make capital allocation decisions. The financial decisions that corporates and investors make today will shape the speed of low-carbon transition and prosperous growth. Historically, we think that much of the corporate response to climate and broader ESG factors has been based on becoming operationally efficient. However, as investment professionals are clearly reporting appetite for climate related investments, and social impact related investments, the demands on corporates to improve reporting and disclosure practices will increase – we expect an iterative process between companies and investors as thinking evolves on the ‘right data’ to disclose to assess climate risks and opportunities. 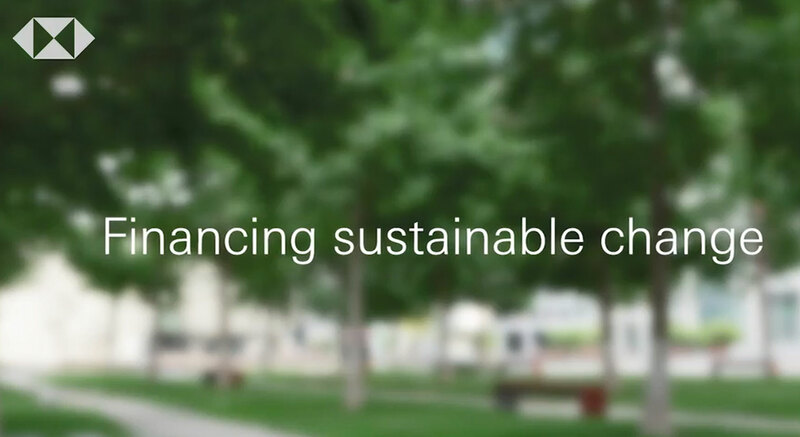 HSBC can provide the financial interconnectivity to solve global climate change and sustainability challenges. Watch these short films to learn more about how Modern Land is approaching this opportunity. The Hongkong and Shanghai Banking Corporation Limited (the "Bank") neither endorses nor is responsible for the accuracy or reliability of, and under no circumstances will the Bank be liable for any loss or damage caused by reliance on, any opinion, advice or statement made in this video. The opinions expressed are those of the featured speakers, and except where a speaker is specifically identified as a representative of the Bank, do not represent the Bank's views. The opinions are subject to change without notice and should not be construed as a recommendation of any individual holdings or market sectors.